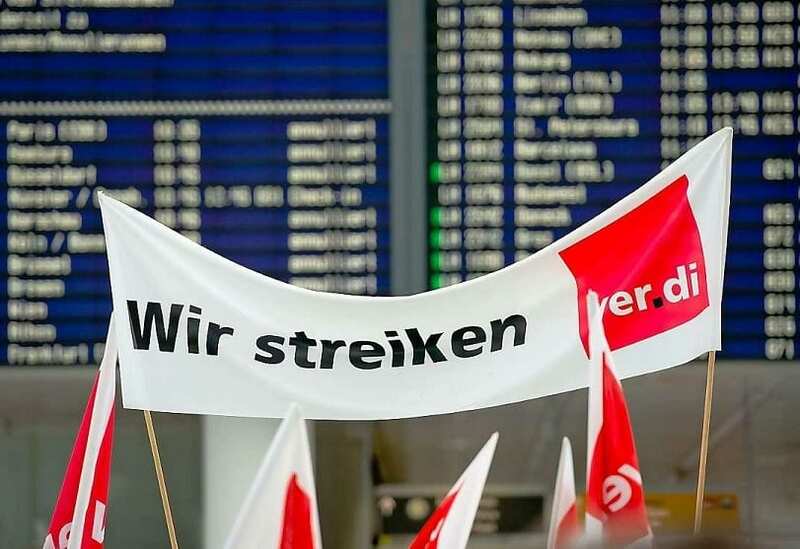 German Vereinte Dienstleistungsgewerkschaft (Verdi) trade union has called for a comprehensive strike by security personnel at Frankfurt Airport between 2 p.m. and 20 p.m. on Tuesday, 15 January 2019. As a result of the strike, a considerable amount of disruptions is to be expected regarding flight operations to and from Frankfurt Airport. Passengers with a Lufthansa flight departing from Frankfurt can immediately change their flights free of charge to a date between 11 and 20 January, 2019. Lufthansa will publish flight cancellations on its website on Sunday afternoon. From this date on, online rebooking will be also possible. Passengers who have entered their contact data online will be actively informed about their flight status. Passengers who are planning to start their journey from Frankfurt Airport on this coming Tuesday should take particular note of the situation. According to the airport operator, the security checks outside the transit area will not be staffed. Therefore, passengers who are supposed to begin their journey in Frankfurt will not be able to reach their flight during the entire strike period as they will not be able to go through a security check. Lufthansa is therefore asking these guests not to go to the airport during that time, but instead to use rebooking options online or the Lufthansa App to rebook their flights accordingly. This explicitly does not apply to transit passengers changing flights at Frankfurt Airport, but only those who are starting their journey there. “Although all aviation partners agreed that we want to improve the situation for our passengers in 2019, the Verdi union is escalating this collective bargaining dispute disproportionately and to an unacceptable extent. This series of strikes can certainly no longer be described as warning strikes. It is also clear that Verdi has no interest in making its contribution to improving Germany as an aviation location. We already have the lowest quality security checks at the highest costs, compared to Europe and other countries around the world,” says Dr. Detlef Kayser, Member of the Executive Board of Deutsche Lufthansa AG for Airline Resources & Operations Standards.